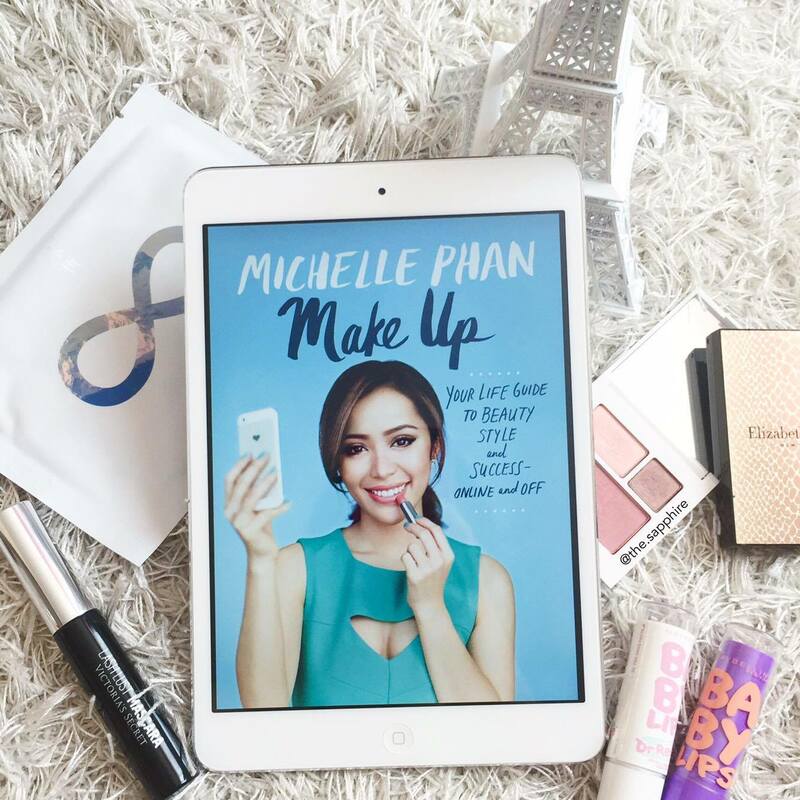 This is going to be a post about Michelle Phan and her 2014 “Make Up: Your Life Guide to Beauty, Style, and Success–Online and Off” book. The reason this is not a review post is because her book was partly biographical and partly fashion-makeup-lifestyle. Note: I titled this “WCW” as in, yes, “Woman Crush Wednesday”. I know it’s commonly used by people gushing over their good-looking partners on IG or whatever, but I’m using it as a way to express my admiration for a well-known person. I started watching Michelle’s videos a few years ago, but I wasn’t really interested in the makeup and DIY tutorial videos she made – I was more captivated by her editing, the voice-overs and art (drawings, etc.) and other film videos. You could say I was interested in the behind-the-scenes process – how she became who she was, and what she did to make that happen. If you don’t know who Michelle Phan is – she is a YouTube vlogger, businesswoman and entrepreneur. Besides making videos for her and other affiliated channels, she became Lancôme’s first spokesperson, co-founded the ‘ipsy’ monthly makeup subscription service, launched her own line em (supported by L’Oreal), and many other things. She is considered as one of the top under-30 entrepreneurs. Biography & Lifestyle: She goes into detail about her personal, family and financial struggles growing up, which motivated her to spread her passion for art in the online community. She is one of the few successful YouTubers that have started their channels as far back as 10 years ago, and I’m guessing that’s a factor that contributed to her success. She innovated ‘YouTubers’, because when she started, YouTube was a laughable career option. Then she goes on to talk about opportunities offered by Lancôme and then L’Oreal, which enabled her to meet many people that have influenced and elevated her career position today. Thus, she uses that experience to then give advice about finding the right job for you, and being an entrepreneur. Makeup & Fashion: These chapters cover the essentials of maintaining your skin healthy, makeup basics, fashion, etc. Many of the things are general knowledge, but its completeness enabled me to pick up on a few things here and there that I may have missed out. Overall, it was nice reading about her personal tips, along with featured images, though the simplicity of these sections reduces the age range for this book to between 13-20’s, if you ask me. Honestly, I enjoyed the first category much more than the second one, mainly because that was what I was hoping to find in the book. On the one hand, I did read about everything I expected and wanted to read. On the other hand, many of the things Michelle writes about are information that you can easily Google and find online – that’s my main criticism. I enjoyed the book because it gave me a detailed glimpse into Michelle’s life, and everything she has been doing over these past several years. What I loved the most was the she shared her life journey, from zero to a successful fashion businesswoman and entrepreneur. Regardless of how controversial her image is and how much criticism she receives regarding her partnerships, sponsorships and even her personal choices, I regard her highly because she made it all the way to the top following her passion. Having watched recently the films ‘Joy’ and ‘The Intern’ and reading this book inspired me so much. These films and book all have a common theme: female empowerment in the workforce. The stars in these films/book are all businesswoman or entrepreneurs that worked tirelessly to make their ambitions and goals come true, which has given me a different mindset towards my own goals. It made me rethink about how the world functions today – which is, fortunately and unfortunately, driven by the media. Social media platforms, electronic devices and technological advances are all advancing at an incredible speed. One (obvious) factor that contributed to the success of these women was their determined strive, perseverance and effort. No MBA did that for them, they did. The other factor, less obvious but still quite notorious, is the time and place that gave them the opportunity to flourish. 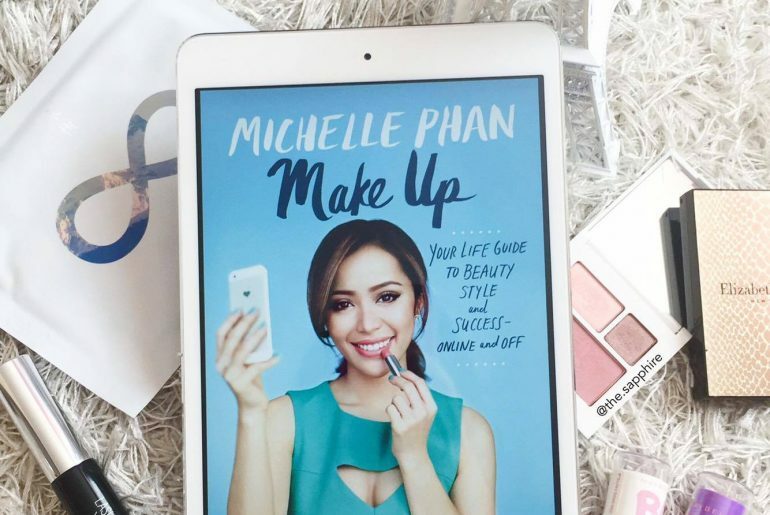 Michelle Phan started blossoming just at the right time – when social media was just starting to become the ‘thing’, but was not yet looked up by everyone. Just a few years later, and we have advanced so much more than people ever imagined 10 years ago. It’s crazy. It makes me wonder whether such opportunities that enabled these moguls are still possible today, because there’s no relying on serendipity anymore – if I want to become the next Michelle Phan or Joy Mangano (from the film ‘Joy’), I must make it happen. Yay!! I’m so glad you liked this post! ? I was so inspired to write this post, and it makes my day when I can transmit that vibe to others!